We operate as a drop-in, not a formal club, so come when you can. If you would like to know more about how we are organised, click here. We have sewing machines, knitting & crochet equipment and yarns, and a good range of fabrics and equipment for many types of stitchery and creative textiles. We are always happy to help one another with projects, and, as well as this informal help, we organise monthly workshops when one of us shows some of the others a particular skill. Workshops are usually held on the first Monday evening of the month, but we sometimes enlist the services of professional tutors when a group of us wants to learn a new skill, and also organise workshops at other times for groups in the community such as badgework for Scouts, teaching children to knit, and useful sewing for young parents. We exchange ideas and skills we learn elsewhere. Look here for some of our favourite places to go, for materials, equipment and professional workshops, both real and digital. We will be holding another Craft Fair on Saturday June 29th in the Trumpington Village Hall. If you would like a stall, please email jackiec.stitchers@gmail.com for more details and an application form. We suggest a donation of £3 per session towards the hire of the Pavilion. Those who want to become members pay a subscription of £10 a year, and contribute £2 a session. WE TAKE IT IN TURNS TO ACT AS HOST FOR ANYONE WHO COMES FOR THE FIRST TIME, AND WE ARE ALWAYS PLEASED TO SEE NEW PEOPLE AND TO MAKE SURE THEY ENJOY STITCHING WITH US. DO COME ALONG AND GIVE US A TRY! We are just coming to the end of a major public art project associated with the enlargement of the village, “Trumpington 2016 – a Stitch in Time” The quilts will soon be on display on the wall of their permanent home at the new Clay Farm Centre. and donations from John Lewis and local residents, we have a selection of sewing machines, cutters, and other equipment available, and a wonderful collection of materials, yarns, and haberdashery to work with. 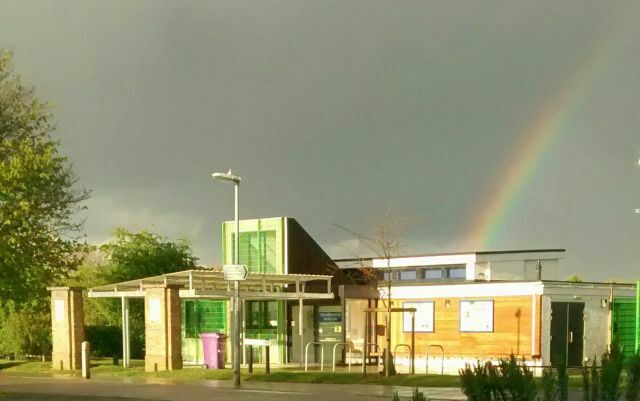 We are also grateful to the Trumpington Residents’ Association, which manages the Trumpington Pavilion where we meet, and where we store our resources. 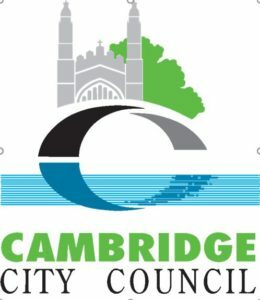 We use recycled materials as much as possible, and are members of Cambridge City Council Scrapstore which is an excellent local source of recycled craft supplies. Thanks to grants from Cambridge City Council, and donations from John Lewis and local residents, we have a selection of sewing machines, cutters, and other equipment available, and a wonderful collection of materials, yarns, and haberdashery to work with.